Stretch marks are common and are not discriminatory. They affect everybody – young, old, male and female. Common causes of stretch mark are teenage growth, sudden weight gain/loss and pregnancy. They are generally found on areas such as your tummy, arms, thighs, buttocks and the lower back. Stretch marks are long narrow linear lines or streaks that develop on or under the skin. They occur when the middle layers of your skin tears due to a sudden change in body size. They start off as a reddish or purple colour and will fade to a white or silver colour over time. 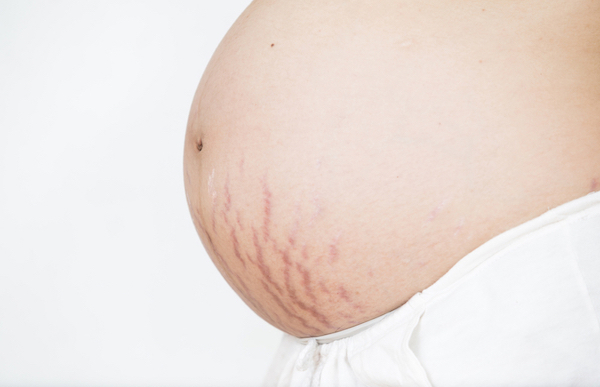 Stretch marks are very common during pregnancy and in particular the latter stages of pregnancy. Hormones produced during pregnancy to help soften pelvic ligaments and increase flexibility, also soften skin fibers, which increases your risk of getting stretch marks. 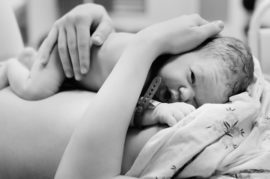 Martan Syndrome can lead to the development of stretch marks. Martan Syndrome is a condition that causes weakness and decreased elasticity in body tissue. Genetics plays an important part and can seriously increase odds. Check with your mother or grandmother; if they’ve had stretch marks as a result of pregnancy, there is a higher likelihood that you may too. Your predisposition to stretch marks can be determined by DNA. Weight gain on it’s own does not cause stretch marks. However, weight gain does promote the hormonal changes that cause stretch marks. Teenagers can be especially at risk. It’s during puberty that most will experience a sudden growth spurt, which can create undue pressure on the body’s skin tissue when it stretches. Unfortunately there is no miracle cure and in most cases stretch marks will not disappear completely after treatment. Vitamin A oil is recommended on fresh stress marks (reddish/purple colour). Treat them early by applying the oil to help stimulate collagen production in your skin. This will help to reduce the appearance but will not completely eliminate them. Laser treatment is a more abrasive option that can be used to help reduce the appearance of stretch marks. This is costly and you should always consult your health care provider. There are many natural home remedies that can help to reduce the appearance of stretch marks. Stretch marks whilst annoying and can be unsightly, are a fact of life for many. You are not alone. Embrace your body and love the body you are in.